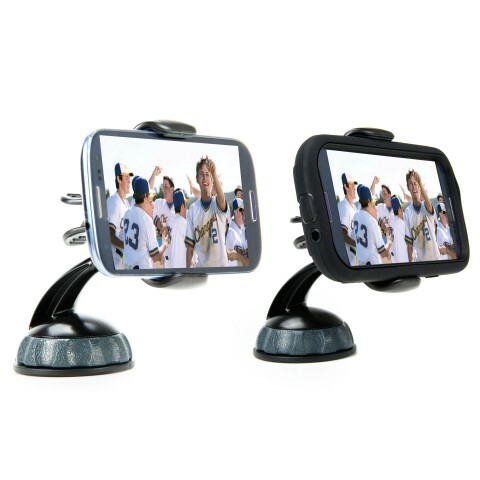 The USA Gear Clip Mount is a versatile way to display your Smartphone, GPS, MP3 and Camera to many surfaces. 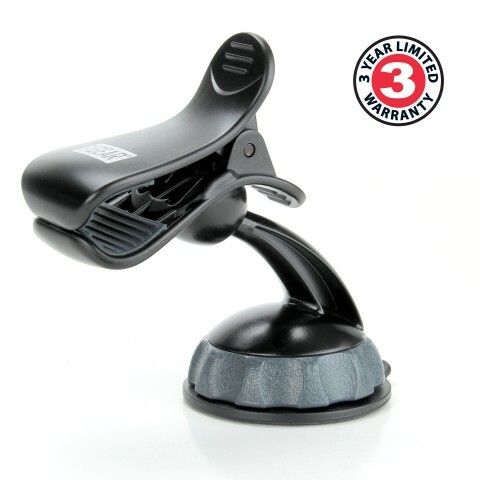 The advanced sticky suction cup provides double the holding strength with its dual sticky lock connection. 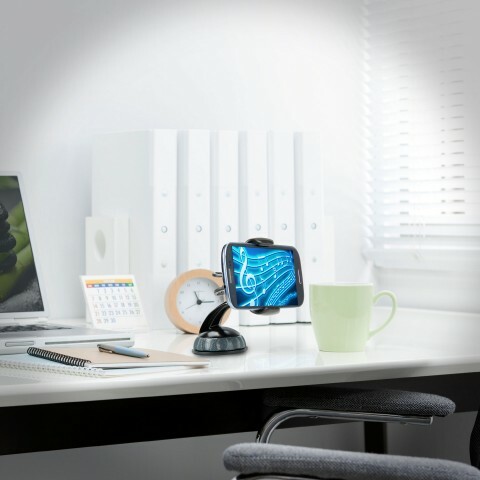 Simply place the mount in the desired position and the innovative sticky pad will adhere to most textured surfaces. 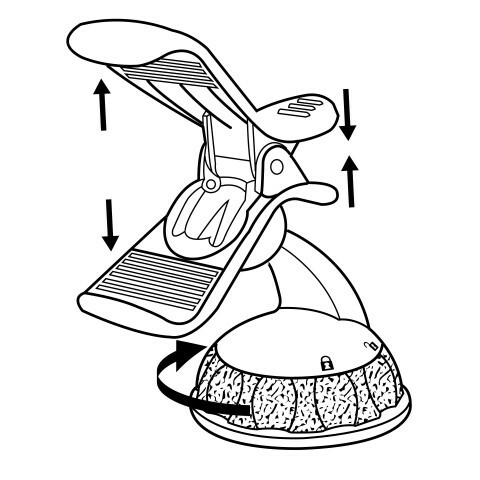 Then twist the suction lock for a firm stable position. 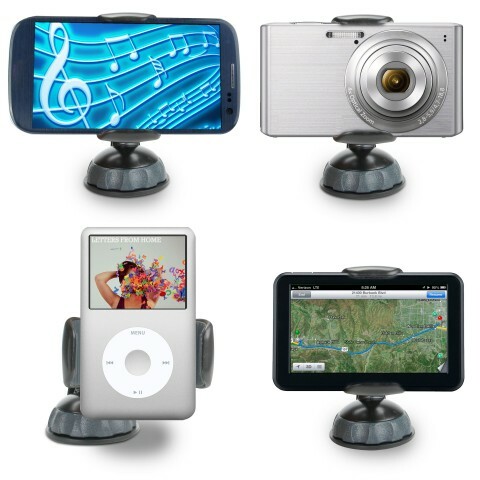 With secure lock suction and sticky pad, mount your devices on your dashboard, windshield or even your office desk! 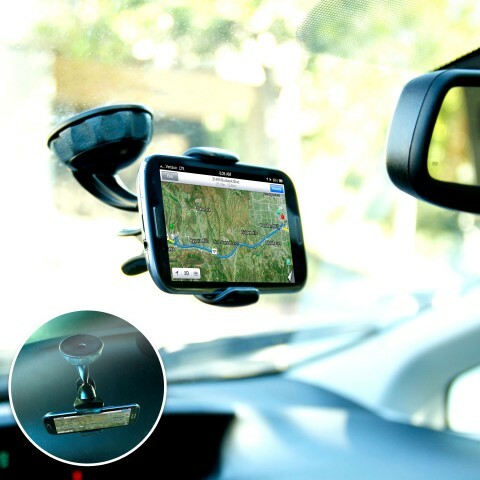 The clip mouth opens up to 3.5 inches wide to fit anything from small phones, GPS units and even phablets. The clip is lined with rubber grips to prevent slipping. 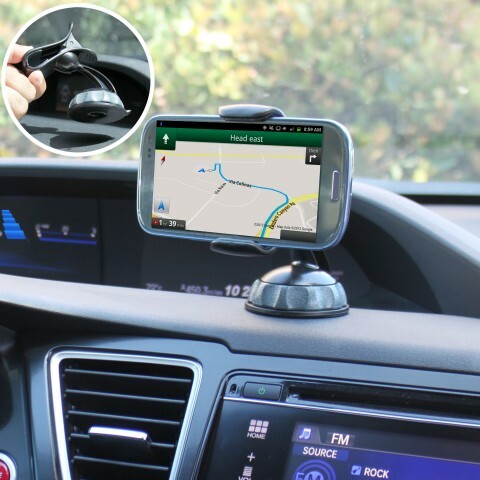 The clip mount enables you to get directions and enjoy your music without holding your phone. 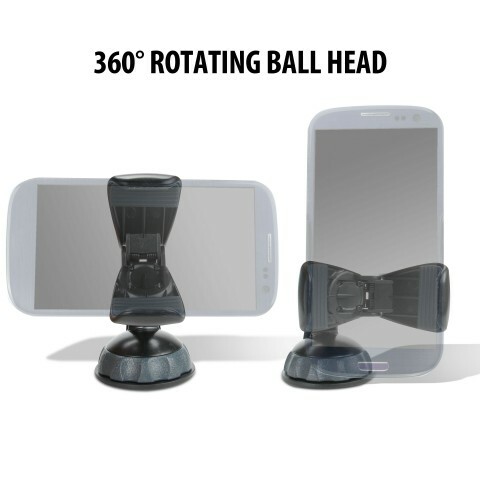 The 360 degree rotating ball head lets you view your device in either the portrait or landscape position.